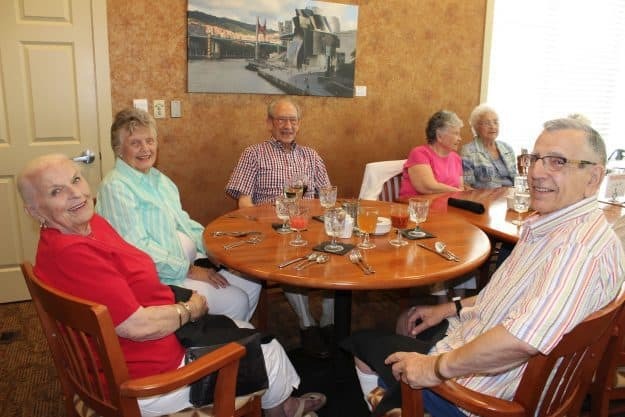 Dining at Silver Maples is a delightful experience. At Silver Maples, our dining program focuses on creating tasteful and nutritious meals that promote healthy living for seniors. Our in-house chefs offer a diverse and fresh menu, made from scratch and prepared only with the finest ingredients. There are no shortage of meal options and new menu items are always being introduced. Courtyard Café – Casual dining offering coffee and teas, fresh fruit, bakery items, salads, deli & grilled sandwiches, assorted beverages and other snacks. The Bistro 100 – Casual dining prepared individually to order, featuring delicious grilled meats and seafood with fresh salads made daily. Private Dining Room – Accommodating between 8 and 10 people, the private dining room is available for our residents to reserve for private parties, family gatherings and other celebrations. 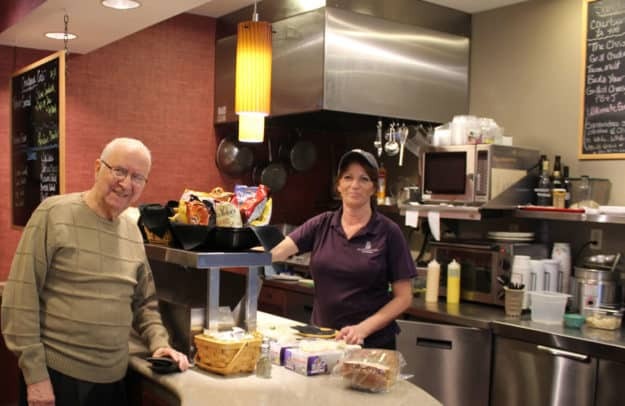 See our Residents page to take a peek at our dining room and cafe menus.